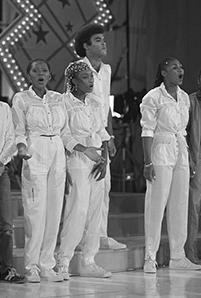 Boney M. is a pop and disco group created by West German record producer Frank Farian. They were very successful in the 1970s. Singles chart peaking in various countries. Includes U.S. Hot Dance Club Play chart entries. Boney M. Facts for Kids. Kiddle Encyclopedia.